We make 50 kilos plus of fresh corn tortillas everyday in Bangkok using Nixtamalization. Nixtamal is not corn flour mixed with wheat flour. 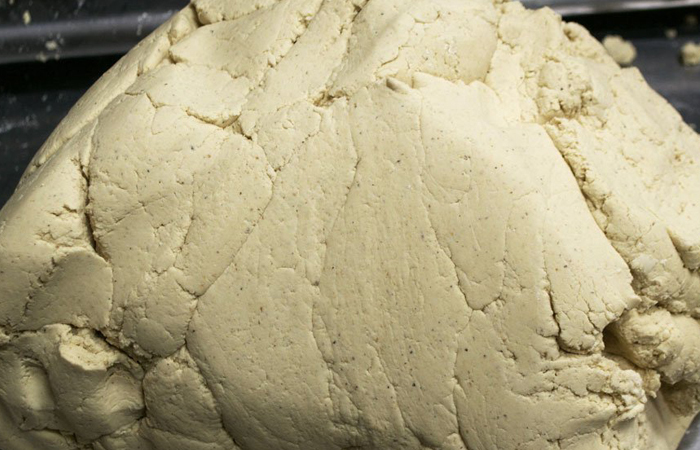 Our dough is 100% made of corn. We don’t use additives in any of our products. As a result, you can enjoy a tortilla that is 100% natural, non-GMO, without preservatives, lard, vegetable shortening, gluten or salt. 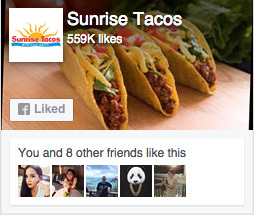 In short, our natural corn tortillas are delicious and very nutritious! Cooking the corn in water and lime is the most important step the tortilla-making process because of its impact on the quality of the finished product. This process is called "nixtamalization" and has been practiced in Meso America for thousands of years. After cooking it, the corn sits from 8-12 hours to allow full absorption of the lime and water into the corn. 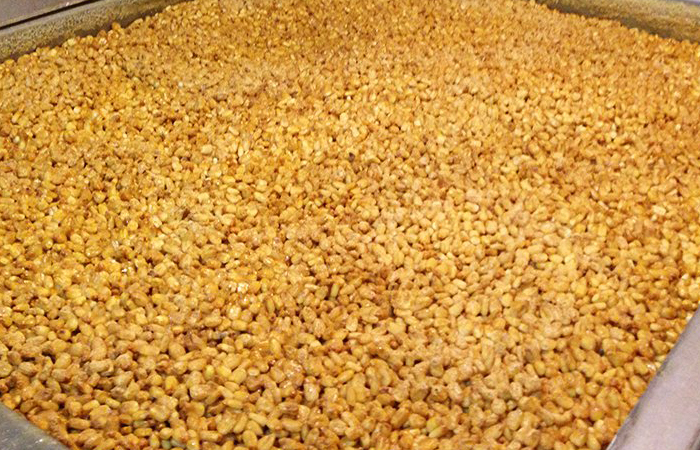 The nixtamalized corn is placed in a special washer which enables the cleaning process. The corn is washed at different rates, depending on the desired consistency. 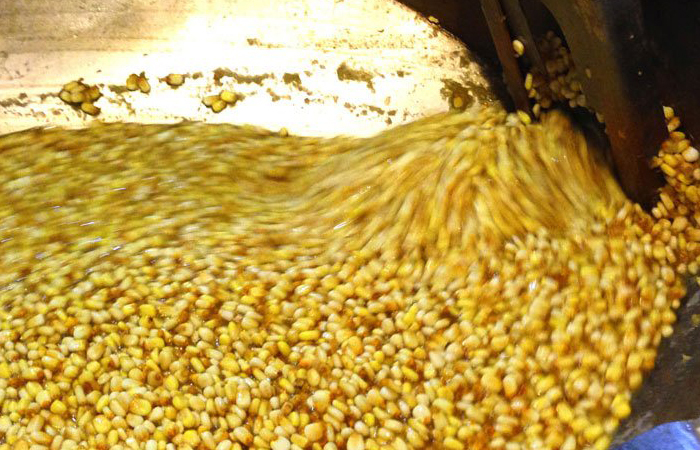 The cleaned corn is placed into a stone grinder and carefully monitored by trained staff to ensure that the ground corn is fine, moist and possess a perfect texture. The ground corn is called masa. Corn masa requires kneading so that it develops the perfect texture needed to make good-quality tortillas. 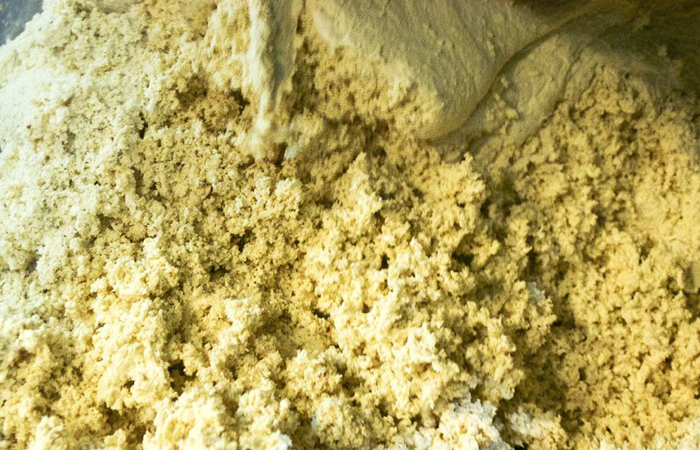 We place our masa in a special mixer, adding water as necessary, and carefully monitoring the process. As we can not find non gmo white corn kernels here in Bangkok. 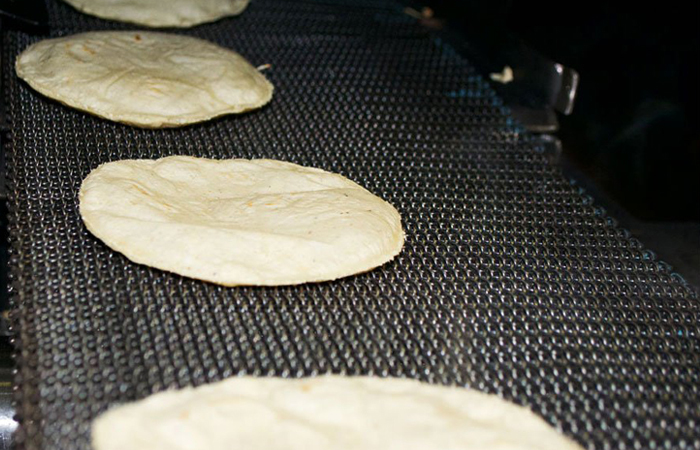 We ship a container of white corn 4 3/4 inch tortillas which are also available.